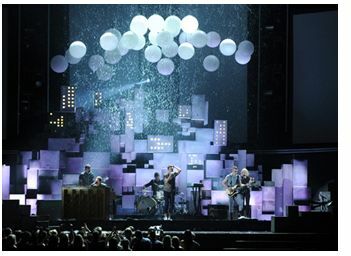 How do you control 28 four-foot lighted spheres suspended above award winners “fun.” at the 2013 Grammy Awards? Easy – with LumenRadio Receiver Cards inside each sphere, and a LumenRadio Flex transmitter located backstage. Conceived and produced by Moment Factory of Montreal, with content by Hubert Gagnon of Blackout Design, the fun. set was designed and built by Quebec-based Teksho. Featuring illuminated spheres rising from the stage floor like gigantic champagne bubbles in slow motion, the number climaxed with an actual on-stage rainstorm. LEDs inside each of the orbs were controlled by a grandMA2 at FOH, driving an NPU backstage, sending DMX to the LumenRadio Flex Transmitter. The Flex Transmitter sent wireless DMX to each of the frosted-white spheres, with continual control feedback of the entire wireless system. 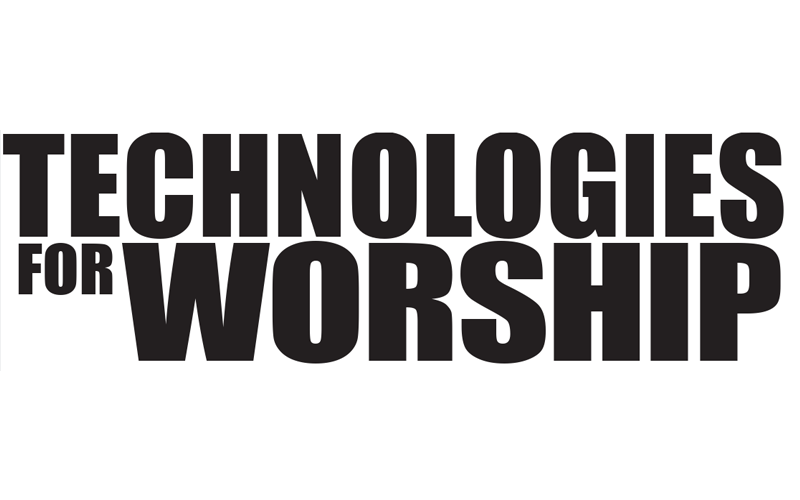 “The Grammy Awards show is a stew of high-traffic wireless,” says TMB Product Specialist Steve Brody who attended the show setup to provide technical support. 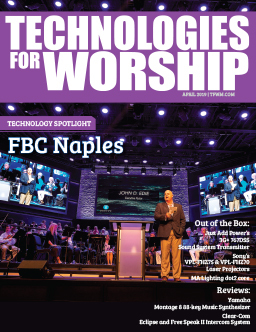 “Thanks to its proprietary Cognitive Coexistence technology, LumenRadio performed flawlessly – first time, every time – even in a milieu of wireless mics and instruments, safety, security, Wi-Fi internet, and mobile phones.” Steve adds, “We had only two days to set up. We didn’t have the luxury of troubleshooting wireless problems – and there were none! LumenRadio dealer Theatrixx Technologies of Montreal supplied the LumenRadio units to Moment Factory, world renowned designers/producers of prestigious multimedia environments for events, tours, and installations such as the Super Bowl XLVI Halftime Show, Powerball NBA Halftime Show, Madonna MDNA Tour, Jay-Z at Carnegie Hall, Microsoft Windows 8 launch, and much, much more. Find out more about Moment Factory at www.momentfactory.com/en. Blackout Design can be accessed at blackoutdesign.ca. Learn about Teksho at teksho.com, and Theatrixx Technologies at www.theatrixx.com/en. TMB is the exclusive distributor for LumenRadio in North America and UK. 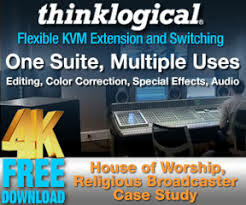 For more information, visit www.tmb.com/lumenradio.